Compelling tale of an ex-deputy and his nemesis who is hired by a widow to protect her from revenge-seeking outlaws . In the Old west there are always the men who live breathe violence and the women who hold their breath . 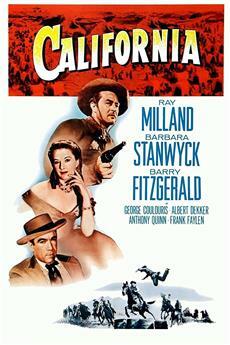 A ¨town tamer¨ , ex-sheriff and now professional gambler named Dolan (George Peppard) along with his old pal (John McIntire) come hired by Molly Lang (Jean Simmons) who owns the stagecoach line to rid the baron land named Alex Flood (Dean Martin)and his hoodlums (Slim Pickens , Steve Sandor) . Dolan as ex-lawman brings peace for the townspeople , meanwhile Alex takes the justice on his own hands , hanging enemies and appointing marshals and orders warnings , as wearing of guns or other weapons in town is banned . Flood is a whole villain determined to kill Dolan , he owns the Palace Casino, Saloon , General Store and lands . But the town council afraid the raw methods carried out by Flood and reunite , when Alex aware he orders to burn the place . At the end the kingpin landowner appears and attempts to murder Dolan with his own means .<br/><br/>This is a tremendously exciting story of an ex-deputy-for-hire who had only one more killing to go. It begins as a sluggish , slow-moving Western but follows to surprise us with dark , rudimentary characters and solid plot . The tale is almost grim though full of clichés, a pacifier and his old partner come to a town just in time to make sure its citizenry but later the events get worse . The action is brutishly cruel as when Dean Martin slaps and hits Jean Simmons. 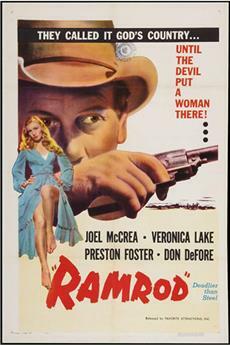 The highlights of the film are the facing off between Peppard and Slim Pickens and the climatic showdown on the ending at the saloon and the town. Phenomenal and great role for Dean Martin as bad guy , he&#39;s the whole show. Vivid and lively musical score by Don Costa and atmospheric cinematography by Russell Metty. 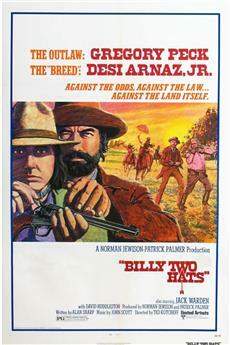 Watchable results for this offbeat Western.<br/><br/>The motion picture is professionally directed by Arnold Laven . Laven formed a production company along with Jules Levy and Arthur Gardner. The first Levy-Gardner-Laven movie was 1952&#39;s &quot;Without Warning&quot;&#39;; in the decades since, they have produced and directed dozens of additional features . 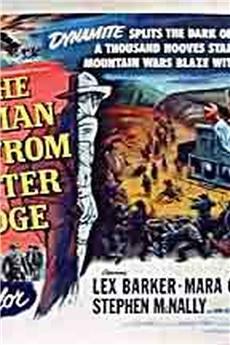 He&#39;s an expert on Western genre as cinema as television as he produced and directed several TV series including &quot;The Rifleman,&quot; &quot;Law of the Plainsman,&quot; , &quot;The Big Valley&quot; . 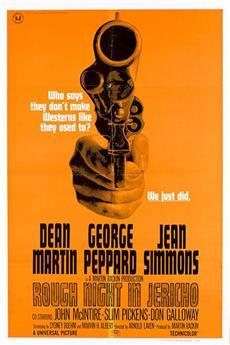 And directed acceptable Western films as ¨The glory guys¨, ¨Geronimo¨and ¨Sam Whiskey¨. Dean Martin plays the villain for the first time, but doesn&#39;t add any dimension to his role. George Peppard steals the movie as a gambler who doesn&#39;t want any trouble until situation becomes impossible. Jean Simmons is adorable as usual.<br/><br/>The plots are quite routine, the action scenes passable. It&#39;s a bit unreasonable that Simmons would let Peppard, a stranger who rides to town on her stagecoach, stay in her house. Although such arrangement is made by the writers, it&#39;s a shame that their relationship is not fully developed.<br/><br/>Fortunately we see some familiar supporting actors, including Don Galloway (of TV series IRONSIDE), John McIntire (of WAGON TRAIN), and it&#39;s interesting to watch comic actor Slim Pickens as mean, sadistic character again after his wonderful performance in ONE-EYED JACKS (1961).